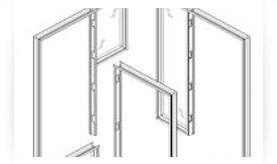 Extrusions are among the most widely used of the aluminum forming processes, affording designers almost unlimited creative latitude to design profiles to meet specific needs. Keili Metals handles all extrusion needs in the standard 6000 alloy series and tempers; both custom and standard profiles (Die List). Detailed profile drawings (preferably AutoCAD) to determine information such as linier weight, critical tolerances, and other profile specs. Surface finish required: Mill, Anodized, Powder Coat, PVDF, Thermal Break. Cut length required and cut length tolerances. 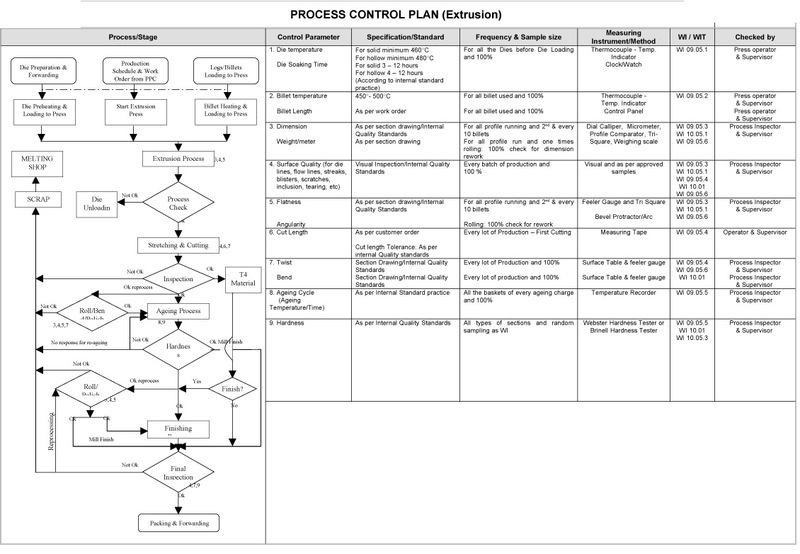 We can quickly put together an entire pricing package from production to delivery. 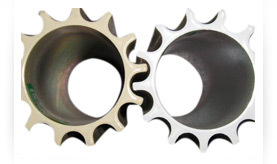 An alloy is a material made up of two or more metals. Alloys have certain specific, desirable characteristics, including strength, formability, and corrosion resistance. 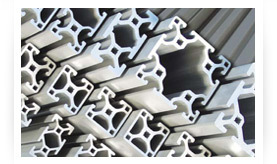 Aluminum extrusion alloys contain small amounts (usually less than five percent) of elements such as copper, manganese, silicon, magnesium, or zinc. These alloying elements enhance the natural properties of aluminum and influence the extrusion process. 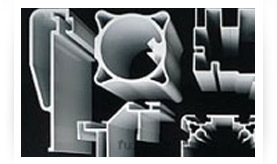 6000 alloys are the most popular extrusion alloy series. 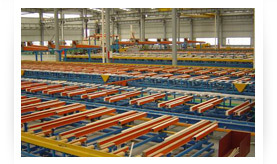 It is undertandable why; having good extrudability, strength, corrosion resistance, machinability, and weldability. This series contains silicon and magnesium in approximate proportions to form magnesium silicide, thus making them heat-treatable. Alloy 6005 alloy 6005/6005A is a medium strength, heat treatable alloy with excellent corrosion resistance. Its properties are that between alloys 6106 and 6082 and can sometimes be used interchangeably with these alloys. Alloy 6005/6005A's most common temper is T5. This temper denotes that the material has been cooled from an elevated temperature for the shaping process and then artificially aged. Railway and bus profile structures with complex sections. Structural engineering, pylons, platforms, pipeline. Any sections where greater strength is needed than given by 6060 and 6063. Alloy 6061 is one of the most extensively used of the 6000 series aluminium alloys. 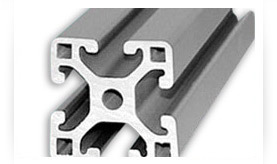 It is a versatile heat treatable extruded alloy with medium to high strength capabilities and the most common alloys of aluminum for general purpose use. Alloy 6061 is commonly produced in several heat temper grades, 6061-O, 6061-T4, 6061-T6, 6061-T6511, 6061-T42. Machinability in the harder T4 and T6 tempers is good. It is notably less easy to machine in the annealed temper. General structural and high pressure applications, wire products, and in pipelines. 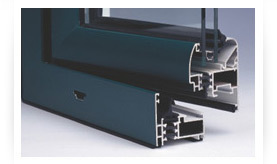 Alloy 6063 is mostly used in extruded shapes for architecture, particularly window frames, door frames, and roofs. It is typically produced with very smooth surfaces fit for anodizing. Alloy 6063 is commonly produced in several heat temper grades, 6063-O, 6063-T1, 6063-T4, 6063-T5, and 6063-T6. 6063 is also produced in tempers T52, T53, T54, and T55, with various improved properties. 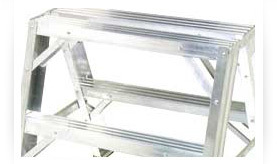 Aluminium alloy 6082 is a medium strength alloy with excellent corrosion resistance. It has the highest strength of the 6000 series alloys. Alloy 6082 is known as a structural alloy. In plate form, 6082 is the alloy most commonly used for machining. As a relatively new alloy, the higher strength of 6082 has seen it replace 6061 in many applications. 6000 series also include alloys 6060, 6066, 6070, 6105, 6162, 6262, 6351, and 6463. Extrusion alloys reach their optimal strength through the process of aging which ultimately determines the alloy's temper. T4 Solution heat-treated and naturally aged to a substantially stable condition. 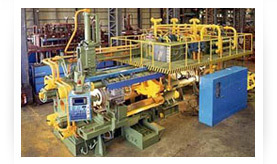 Applies to alloys which are not cold worked after solution heat treatment, or in which the effect of cold work in flattening or straightening may not be significant in mechanical property limits. T42 indicates material is solution heat treated from the O or F temper to demonstrate response to heat-treatment, and naturally aged to a substantially stable condition. T5 Artificially aged only. Applies to alloys which are not cold worked after cooling from an elevated temperature shaping process, or in which the effect of cold work in flattening or straightening may not be significant in mechanical property limits. T6 Solution heat-treated and then artificially aged (in method such as water quenching). Applies to alloys which are not cold worked after solution heat-treatment, or in which the effect of cold work in flattening or straightening may not be significant in mechanical property limits. T62 indicates material is solution heat-treated from the O or F temper to demonstrate response to heat-treatment, and artificially aged. T6511 designation means the mill straightened the profile to meet the straightness tolerances.